A common mistake made by parents is forgetting that they set an example for their children. Children repeat everything that their parents do. Raising very small children isn’t at all easy. Therefore, it’s not uncommon to fall into the trap of certain mistakes parents make when their children disobey them. 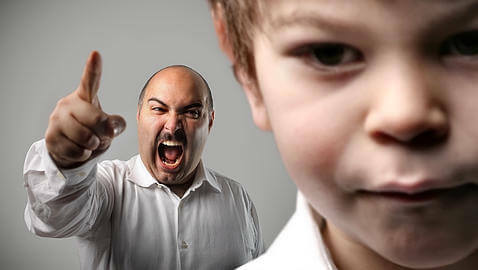 Responsibilities and stress cause parents to become easily infuriated when faced with unruly children. Often, their children don’t abide by the rules and are always contradicting them. 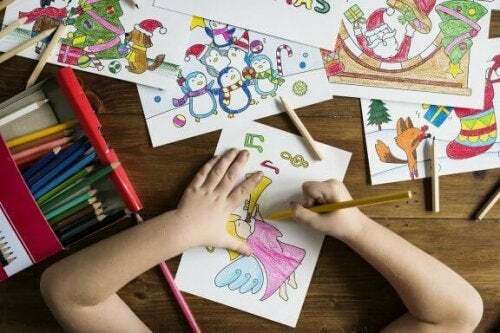 However, it’s important to take a deep breath to avoid making these common mistakes when faced with this problem, which can completely go against everything that the children have been taught. 1. I’m in charge here! The problem with young children throwing tantrums, talking back, or being disobedient is that parents consider their children to be undermining them. However, just because children may contradict their parents doesn’t mean that they are necessarily defying them. They may have forgotten what they have been told or may not have actually understood very well in the first place. As adults, we see most things pretty clearly, but we mustn’t forget that they’re only children. Instead of seeing this as an attack on our authority, it’s important that we take the time to sit with and talk to our children. That way, we can make sure that they understand what they are being told. Plus, that’s another mistake that parents often make. They want their children to abide by the rules. However, really, they haven’t taken the time to check if the rules have been understood and make sense to the children. One of the most frequent mistakes that parents make is getting angry or behaving in the same manner as their children when they’re confronted with bad behaviour. This kind of behaviour doesn’t just demonstrate a lack of authority, but shows that they’re losing control. Children will start to feel angry, frustrated and annoyed if they’re being attacked rather than understood. If parents wish to educate their children, this is not the way to go about it. Children are not able to understand the message if they’re being shouted at all the time. Also, it only makes the child feel stressed. By arguing, you are creating an anxious atmosphere, which does not help the situation. 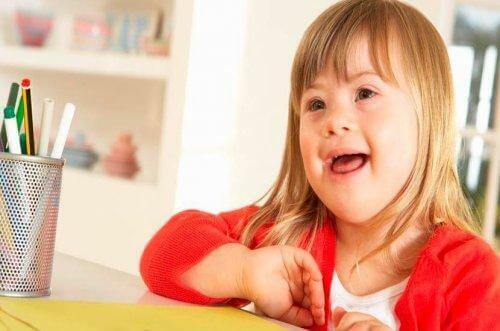 Imagine the scene: a child in a supermarket whose parent has just told them that they cannot have sweets today. Since the parents feels embarrassed, they give in to the child. Then, the child understands that by subjecting their parent to particular manipulative techniques, rules can be broken. If a parent gives in, even just once, they will lose control. Rules should be followed no matter what. Otherwise, the children will believe that rules are there to be broken. How many times has this happened to us? Something happens that we don’t want to see because we don’t like it. Then, we turn away, as if nothing had happened. However, it has happened. If your child doesn’t listen to you once and you don’t say or do anything about it, they won’t understand why you’re getting angry the next time you find yourself in a similar situation. It’s inconsistent. By doing this, we’re just giving our children the impression that we alternate between being interested and being uninterested depending on the day and the situation. This will make our children feel as though we’re not interested in what they do or stop doing. This can cause problems of low self-esteem that will have an impact on them in the near future. 5. I can do it because I’m your mother/father! Without a doubt, this is one of the worst mistakes that parents make: being unclear about the rules that they enforce upon their children. For example, if a parent tells their child not to put their feet up on the table, yet they do it themselves, the child won’t understand and may start to rebel. When there are rules at home, everyone in the family should stick to them. This is not just to set an example, but also to be coherent in what we’re asking. We cannot ask a child to do something if we don’t do it ourselves. The authority that parents sometimes feel they have when they say “Because I said so!” or “I’m in charge here!” is actually quite illogical and absurd. Parents should always create rules for their children. However, it’s in their hands as to whether or not they are abided by. Perfect parents don’t exist. However, trying to correct these common mistakes and being critical of ourselves and finding solutions is an important and very rewarding step.